With reimagined former trends complementing bold, brand-new styles, footwear that was once seen as seasonal can now be embraced throughout the year. 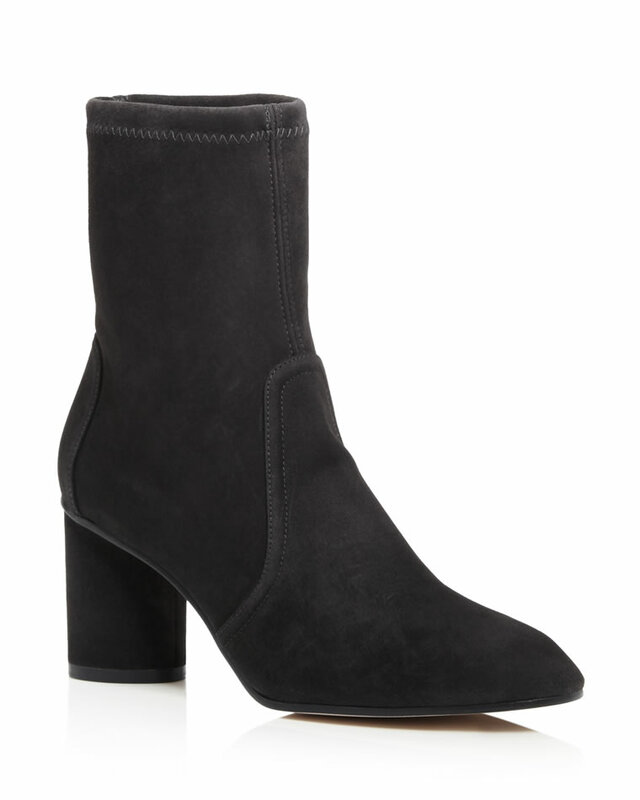 The beauty of the latest trends in boots and booties is that they are hardly seasonal. Stunning boot trends have permeated the shoe department, making it easy to embrace many of the most stylish looks throughout the year. According to celebrity stylist Tiffany Gifford, booties, in particular, have evolved into much more than just a cool weather shoe. Yet, boots are still essential for the cooler time of year, and there is no shortage of inspiring trends this season. Naturally, some evergreen boots are making an appearance. 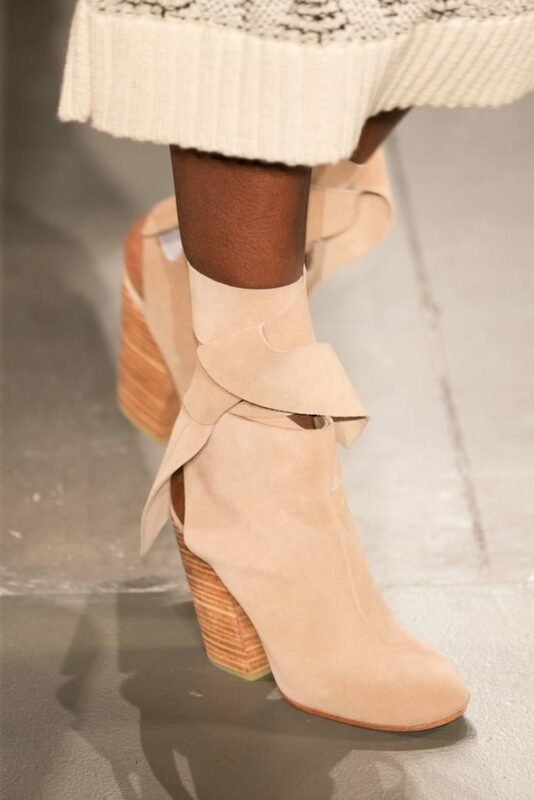 “I think the ever-popular chunky heel bootie, in the style of the Rag & Bone classic as well as the Isabel Marant booties, will always be around,” Gifford notes. However, designers are in rare form, reclaiming some of last year’s best boot looks while upcycling older ones in such exciting ways that our wardrobes might never be the same. It’s impossible to discuss this season’s trends without a trip down memory lane, specifically because some of last year’s must-have designs are being echoed this year. 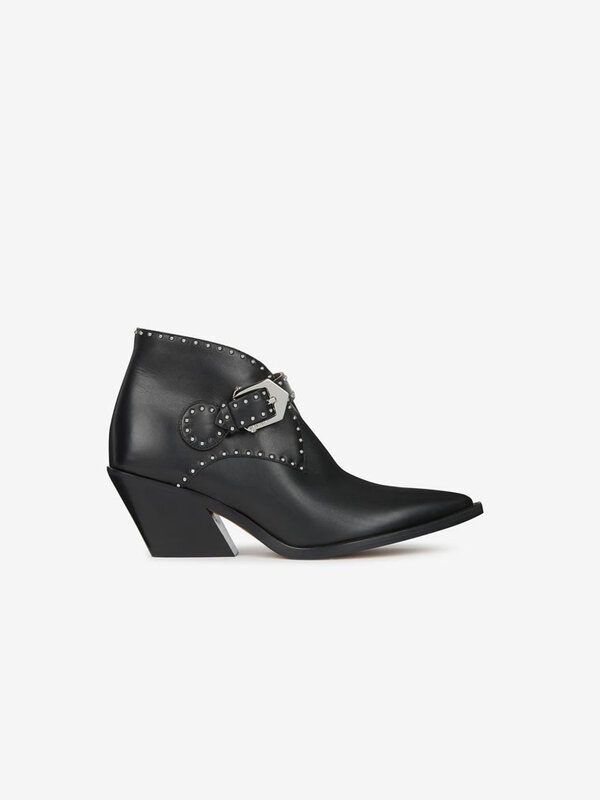 For example, in 2017 there was a revival of styles that were prominent in the 1980s, as demonstrated by boots like Isabel Marant’s Lileas ruched leather ankle boots and Stella McCartney’s denim slouchy boots, and these looks are still relevant. 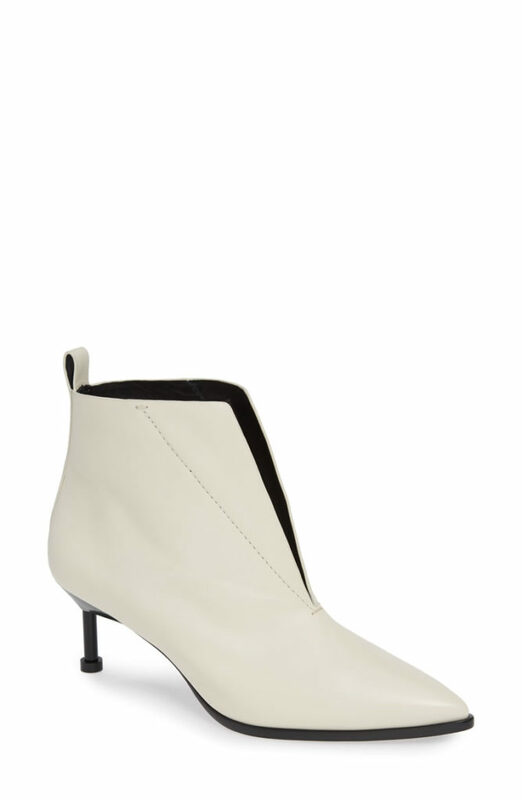 Meanwhile, Tibi is recycling last year’s white ankle boot trend, with brands like Givenchy and Tory Burch also joining in. 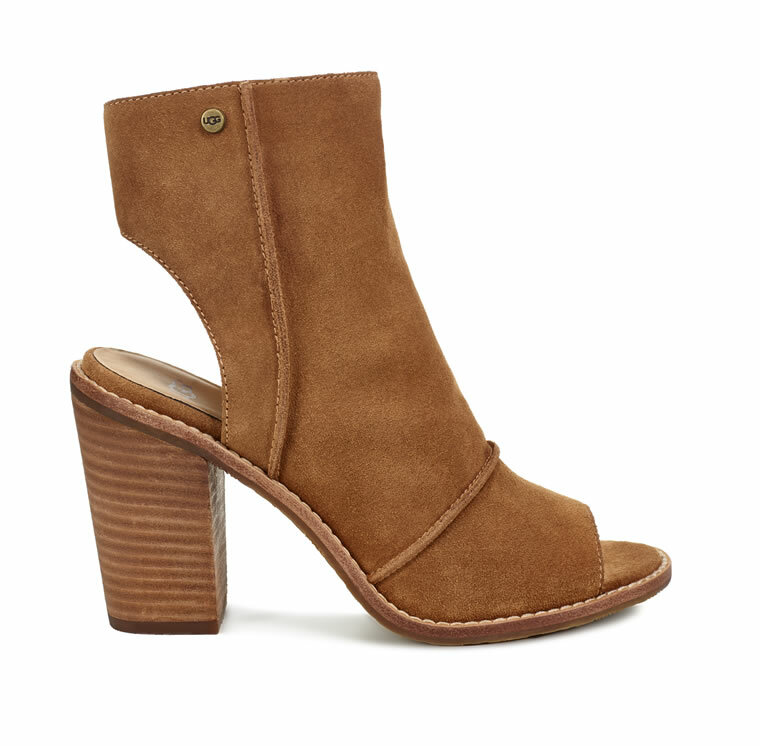 These booties will look gorgeous with your favorite pair of jeans or a 1970s-inspired dress that’s short enough to show them off. Kitten heels are also proving they have staying power, as is the color red, advocated by the likes of Dolce & Gabbana with vibrant options that would look as fashionable paired with long dresses as they would with jeans. 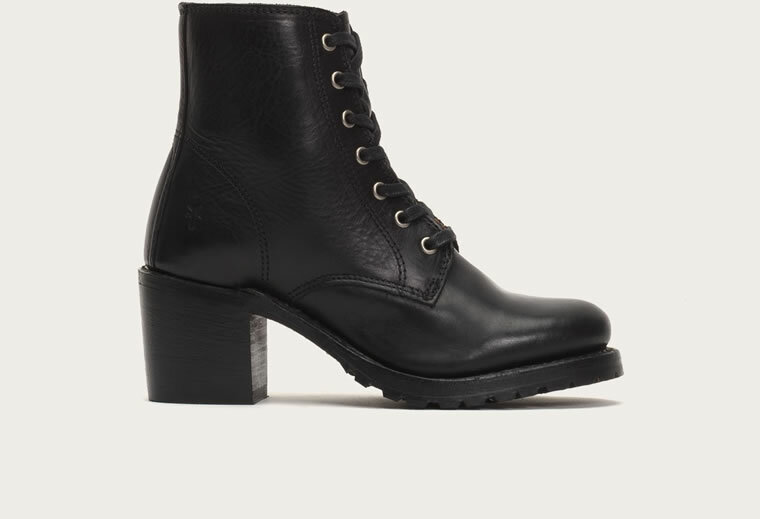 For a touch of utilitarian mixed with a relaxed vibe, consider combat boots. While they are almost always in fashion, this year’s look is less chunky while still offering a slightly edgy style. Chloé’s heeled, orange-trimmed lace boots or Jonathan Simkhai’s crocodile-patterned shoes will completely transform the look, giving it more of an urban-bohemian feel. There are also a number of fresh trends to be excited about. 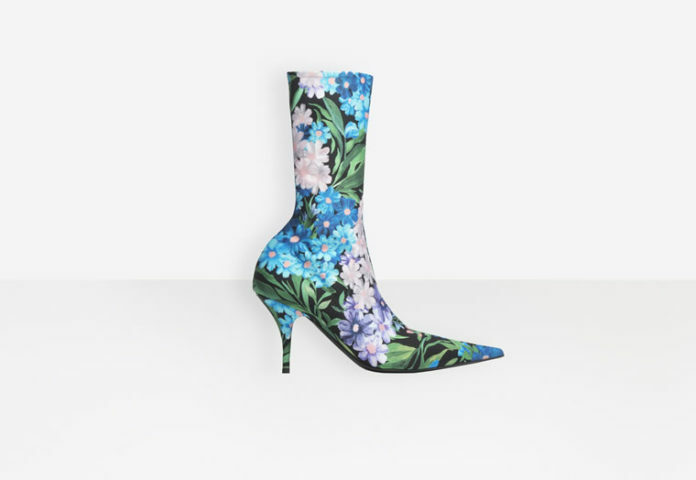 To start, angled heels are in: The classic block heel has been given an edgy, retro slant, with brands like A Détacher, Tibi and Marques’Almeida perfecting the style. Plaid is also making a statement in shoes. Some of these boots are reminiscent of the classic 1990s film “Clueless,” with Balenciaga and Marques’Almeida both releasing options with a black-on-yellow color scheme. Other fashion houses are highlighting more traditional tartan shades. Tread carefully, however, as these are not so easily pulled off. The current throwback craze extends to earlier generations as well, including the 1960s and 1980s. Psychedelic patterns like those used by Chloé and Dior, as well as kitschy colors, are perfect for those days when you are feeling particularly daring. One of the most popular trends from this year’s runway, however, is the inclusion of wide-collar, midcalf boots. They are among 2018’s most approachable yet fashion-forward styles, with houses like Givenchy and designers like Prabal Gurung giving them a bit of personality with bold colors, architectural heels and refined designs. Whether you opt for a brand-new design or a throwback style, the latest looks prove that boots and booties can serve as fashionable additions to your wardrobe year-round.